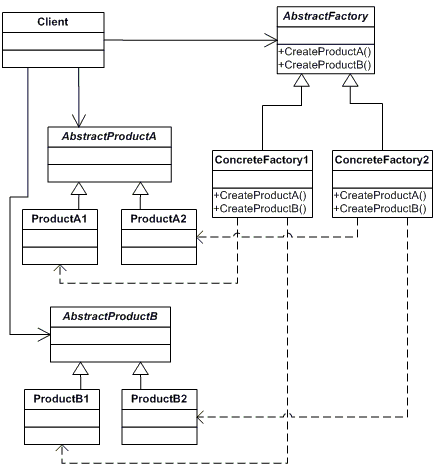 While learning about design patterns, I came to understand the most frequently used term, Factory Pattern as well as Abstract factory pattern. I searched the internet and came across numerous learning points. After a lot of search and study, I endeavored to find an actual need for the abstract design pattern. In this article, I will explore this pattern in an easy way so that everyone can have a better understanding of it. Down the level, I'm using a Car (Vehicle) example to demonstrate abstract factory pattern. I'd keep the structure in such a way as depicted below. declares an interface for operations that create abstract products. uses interfaces declared by AbstractFactory and AbstractProduct classes. Run your application now. The following window will appear. Put the desired car name you would like to know the information about, like Maruti, Tata etc. Kindly refer to the following window as a result after you put Maruti.